The Reserve Bank of India (RBI) has been authorised to conduct field trials for printing plastic notes of Rs. 10 denomination. The Reserve Bank for long has been planning to launch plastic currency note after field trials. In February 2014, the BJP government had informed the Parliament that one billion plastic notes of Rs. 10 denomination will be introduced in a field trial in five cities. Plastic notes are difficult to imitate and have an average life span of about five years. Also, plastic currency notes are cleaner than paper ones. Such notes were first introduced in Australia to safeguard against counterfeiting. The government had decided to conduct field trials at five locations of the country with plastic banknotes, which are expected to last longer than current cotton substrate-based banknotes. Kochi, Mysore, Jaipur, Shimla and Bhubaneswar are the five cities where the plastic notes would be introduced in a field trial. Chief Minister Manohar Lal Khattar inaugurated the event, organised jointly by all seven academies of the state, Swarna Jayanti Celebrations Authority and the Information and Public Relations Department. 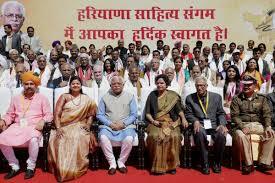 The event includes an exhibition of books, published by the Haryana Sahitya Akademi, Haryana Sanskrit Academy, Haryana Punjabi Academy, Haryana Urdu Academy, Haryana Granth Academy, Haryana Kala Parishad and the Haryana Itihaas Avam Sanskriti Academy. Khattar unveiled the mascot “Laddo” of the Haryana Sahitya Sangam. 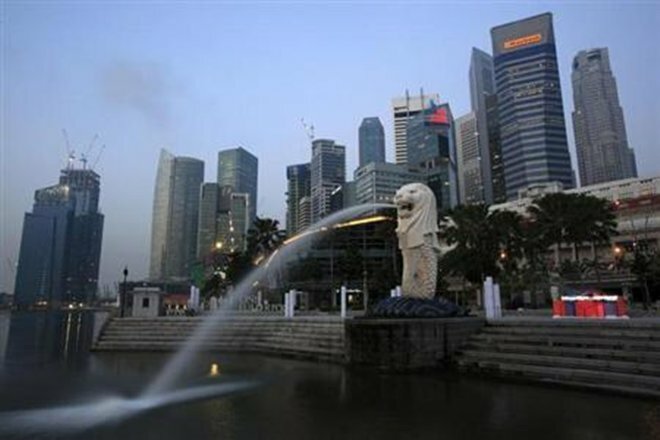 Eleven Indian women are among the 25 Asian ladies who have won the ‘Women Icons’ award in Singapore for dedicating their lives to social work. Women empowerment and childcare remains on the minds of these women, who came from a number of fields for the award organised by Business Excellence & Research Group Pte Ltd and supported by Nanyang Technological University of Singapore. Among the award winners last night was Vandana Sharma, who served for a decade in the Indian Armed Forces, broke several stereotypes around ‘Women in Uniform’ and ventured into the corporate world. Keeping with her ‘Women Empowerment’ campaign is Revathi Siddharthe Roy, who holds a Masters in Economics degree but drove taxi for 10 months in Mumbai to support her family after her husband died in 2007. Roy now runs a training school, Zaffiro Learning, for women to learn to ride two-wheelers and serve as “last mile” delivery person for e-commerce companies. Joining in the awards was Dr Srimathy Kesan, who motivates children into Aerospace and Aeronautics subjects at her Chennai-based company, Space Kidz India. Kesan draws children to science with the aim of building a pool of scientists in the coming year, saying India’s pool of scientists was depleting as more and more students were opting for engineering or medical studies. Other winners were: Dr Aparna Hegde of ARMMAN, Deepshikha Kumar of SpeakIn, Kanika Gupta Shori of Square Global, Minal D’Rozario of Ideosphere, Mini Dwivedi Gopinathan of PlayStreet Specially Abled Educare Trust, Saloni Mardia Kothari of Mtlexs Online, Sonia Kulkarni of Ketchum Sampark PR, and Swati Nathani of Team Pumpkin. 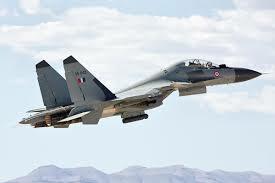 India and Russia signed two long-term support agreements for the Sukhoi Su-30MKI combat aircraft fleet, which is the mainstay of the Indian Air Force (IAF). The agreements were signed by Hindustan Aeronautics Ltd (HAL) with United Aircraft Corporation and United Engine Corporation. The pacts provides for an upgraded schedule for delivery of spares from Russia for these jets, local manufacturing of parts and a proposed logistics hub for the fighter jets in Bengaluru by HAL. The Su-30MKI was designed and developed by Russia’s Irkut Corporation, specifically for India. The licensed production of the aircraft takes place at HAL’s facility in Nashik, Maharashtra. The objective of having long-term supply agreements between the Russian OEMs and Indian Armed Forces or platform manufacturers is to ensure licensed production and to firm up modalities for Indian companies to manufacture some of the spare parts and components under the ‘Make in India’ initiative.